South Bend Indiana Mayor Pete Buttigieg announced his run for president on Sunday, as supporters cheered the moment he kissed his husband on stage. The two men embraced after Buttigieg finished his opening campaign speech in South Bend, Indiana. The moment brought immediate praise from his supporters. Others cheered a photo of the kiss shared by The Independent. Buttigieg referred to his husband throughout the speech, thanking him for his support. “Thanks … Chasten, my love…I’m pretty fond of him too, for giving me the strength to do this and the grounding to be myself as we go,” he said. 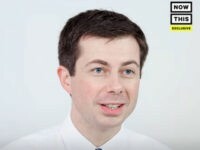 Buttigieg discussed his life as a gay American in detail, challenging the idea that local governments could still keep gay couples from getting married. “Take it from Chasten and me, you are certainly not free if a county clerk gets to tell you who you ought to marry based on their political beliefs,” he said. 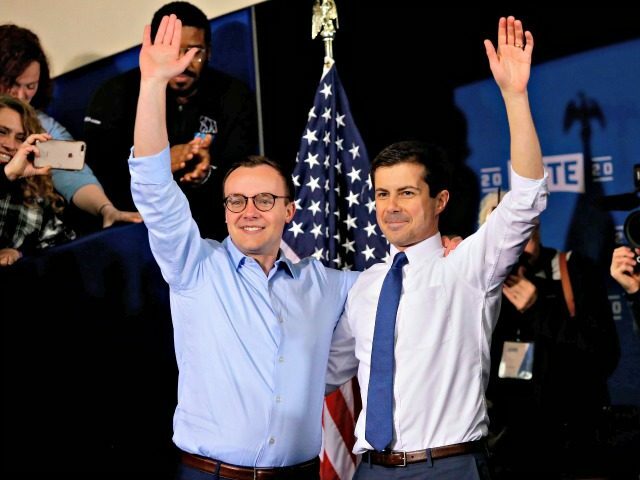 Buttigieg thanked the Supreme Court for ruling in favor of gay marriage, allowing Chasten to be his lawfully married spouse. Buttigieg also recalled his time as a teenage boy — when he was worried whether he would face discrimination for being gay. If I did get a chance to go back, it wouldn’t be out of a desire to live in the past. No, if I went into the past, it would be just twenty years back, so I could find a teenage boy in the basement of his parents’ brick house, thinking long thoughts as he played the same guitar lick over and over again, wondering how he could belong in this world. Wondering if his intellectual curiosity means he’ll never fit in. Wondering if his last name will be a stumbling block for the rest of his life. Wondering what it means when he sometimes feels a certain way about young men he sees in the hall at school—if it means he’ll never wear the uniform, never be accepted, never know love. Chasten praised his husband’s campaign launch on Twitter.